Today's post really is a "Mixed Bunch" - 2 cards today! both made with the new Mixed Bunch Stamp Set. One of the great benefits of using Stampin'UP! 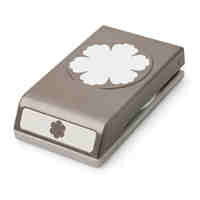 product is the fact that so many of the stamps and punches are designed to work together. The Mixed Bunch Stamp set goes with the new Blossom Punch. This first card is really easy to make. 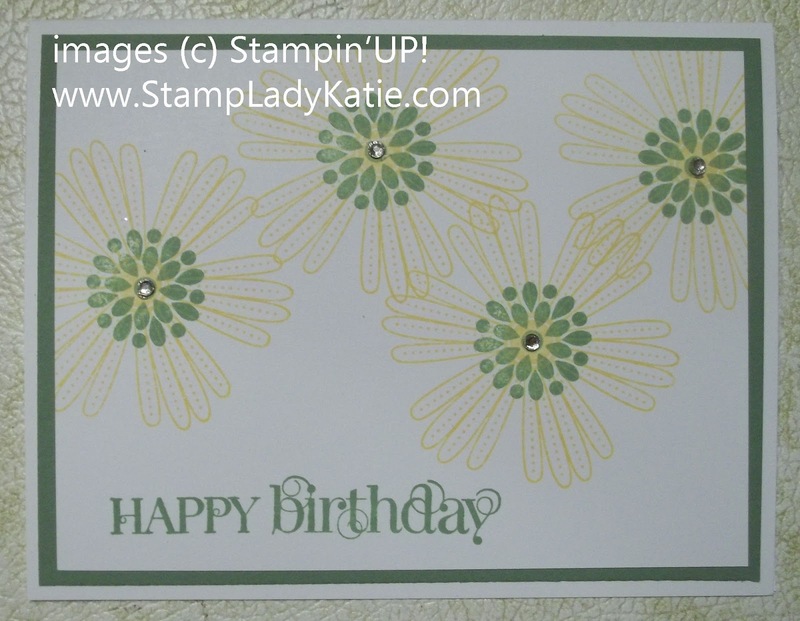 stamp the petal image randomly across the card in yellow (Daffodil Delight). stamped the center of the flower in green (Wild Wasabi). 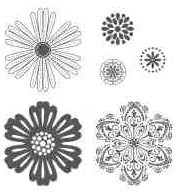 and add a little bling in the center of each flower. Easy Peasy! 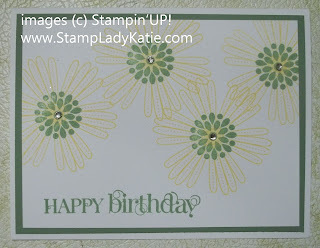 And don't you love Stampin'UP! 's self-stick Rhinestones - they're so easy to use. The second card is also very easy - AND as a bonus its a great way to use up any pattern paper scraps you have laying around. Round the opposite corners on each square and attach them to the card face. These cards were part of a bunch I made for a class requested by a friend. She was on vacation last week and asked if I'd do a little class for her and her daughter and some friends. These quick and easy cards were just the right "Mix" for making a quick "Bunch" of cards.